The SE Team is currently comprised of four applied criminologists and conservation professionals working on a voluntary basis. We actively welcome new contributors, both guest and reoccurring, on topics of conservation crime and law enforcement. Please contact us if you are interested in contributing to the SE platform and content base. Mark Gibson is a doctoral candidate specializing in conservation crime prevention at the School of Criminal Justice at Michigan State University, and a Research Fellow with the Windward Islands Research and Education Foundation (WINDREF) at Saint George’s University. His applied work focuses on consumer compliance theory, enforcement intervention design, and supply chain analysis. He previously worked with the World Wildlife Fund and the Pew Charitable Trusts, and is a past fellow with both the Emerging Wildlife Conservation Leaders (EWCL) Program and the Property and Environment Research Center (PERC) Enviropreneur Program. He holds an M.A. in Environmental Policy and Economics from Johns Hopkins SAIS, a B.A. in International Relations from the University of Pennsylvania, and an advanced certification in forensic interviewing from Wicklander-Zulawski. More about Mark can be found here. Rachel Boratto is a doctoral researcher at the School of Criminal Justice at Michigan State University. Her research interests include anti-poaching, wildlife trafficking and trade, conservation crime prevention, and wildlife management. She holds an M.Sc. in Natural World Heritage Management from University College Dublin and a B.Sc. in Biological Sciences and Zoology from the University of Guelph, Canada. More about Rachel can be found here. 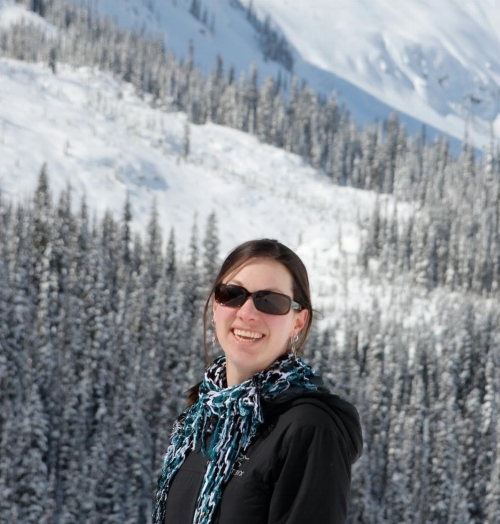 Sarah Gluszek is a visiting scholar at the Fisheries and Wildlife Department at Michigan State University. Her research interests include global wildlife trafficking and trade, crime prevention, supply chains, and identifying patterns, emerging trends, and underlying factors. She received an M.Sc. in Conservation Science from Imperial College London and a Bachelor (LLB) in Law with Criminology from the University of Manchester. She previously collaborated with the Wildlife Conservation Society to explore emerging trends in the illegal wildlife trade in Mesoamerica, including an investigation into the illegal sea cucumber trade from the Mesoamerican Barrier Reef System and the establishment of an online informant network. More about Sarah can be found here. Lauren Wilson is a doctoral student at the School of Criminal Justice at Rutgers University. She holds an M.S. in Environmental Science and Policy from George Mason University, where she conducted molecular genetic research on North American swan species. Her current research interests include the use of spatial methods to inform poaching prevention strategies, the application of situational crime prevention, and socially just natural resource policies that protect wildlife and respect local peoples. More about Lauren can be found here.